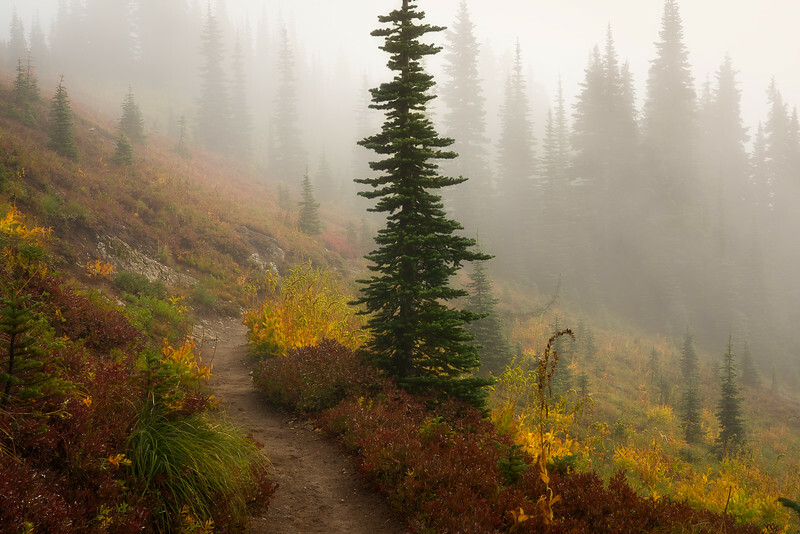 I just love the sense of enclosure I get when walking through the Naches Meadows in the fog. The world seems so much smaller, quiet, and unaffected by the chatter of day to day and societal concerns. The meadow becomes a safe home, where one can breath in and immerse oneself in the healing properties of nature and hear her still quiet voice, even if it is just for this day in the Naches meadow fog.